This excellent series of twelve volumes was published over the period 2004 - 2008. It meets a long met need for reliable and practical resource material targeting adults over 17 years of age who have Down syndrome. Not surprisingly, there is always a strong imperative to produce material suitable for early intervention and programs targeting children with a disability. The situation for people with Down syndrome across the world has followed this pattern. Therefore, Down Syndrome Education International is to be congratulated for taking the initiative to commission Professor Roy Brown as the Series Editor for this Adult Series. Professor Brown brings considerable talent and sensitivity to the support needs of adults with Down syndrome, developed over decades of research and clinical experience. He has secured the support of an international team, highly respected collaborators who also have contributed their wisdom, skills and long practical experience in the individual volumes that make up the series. 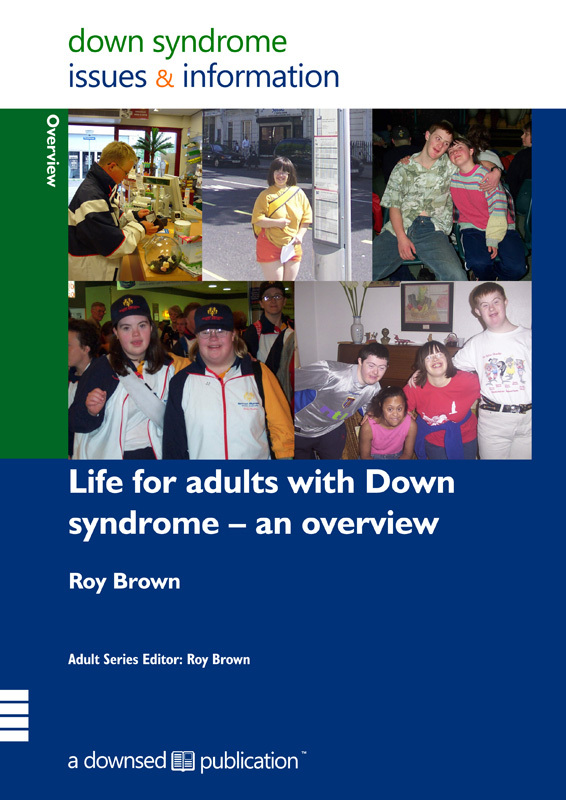 In the introductory volume Professor Brown, not surprising given his extensive contributions to the study of quality of life, emphasizes this as a central theme to the life span perspective of adults with Down syndrome. This introductory volume sets the scene for subsequent volumes, all of which contain excellent research- based references and details of resource materials. The topics covered are extensive; including community and independent living, transition from school to adult life and working, an Australian perspective on the law, post secondary education, recreation and leisure activities, the arts, information technology, advocacy, families, spiritual well-being and international and cultural aspects of Down syndrome. The lay-out of each volume is extremely attractive with good use of photos, illustrations and highlighted vignettes. The text is quite readable and will appeal to a wide cross-section of families, carers, support workers and students. 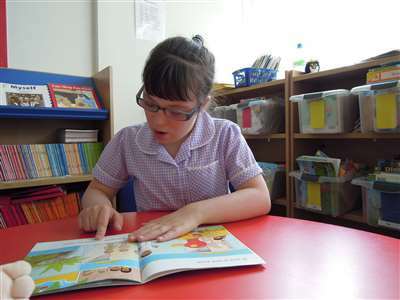 Whilst the target audience is primarily for those supporting people with Down syndrome, the content or each of the volumes is also very relevant to those supporting a wider population of people with a developmental disability. I am especially impressed by the evidence-based approach that has been taken. This gives the reader confidence in the validity of the material presented. One possible omission from the series is the topic of health and health related matters for adults with Down syndrome. This could possibly be a topic for a future volume. I give my unreserved support for this series. Its cross-discipline approach and its cross-national boundaries, highlight it as one of the most significant publications to appear in this decade.